In the course of helping a teenaged waif, a tabloid paparazza unearths a creepy cult. Acting on a tip from a runaway named Theresa, Hollywood photographer Nina Zero snaps some shots of former film hottie Chad Stonewell. 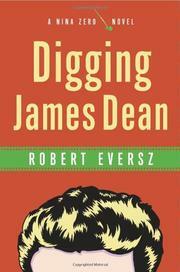 She’s more interested in helping the girl than in capturing Stonewell, a has-been few readers will care about nearly as much as they care about James Dean, whose bones, according to Scandal Times staff writer Frank, have recently been stolen from his grave. When the same fate befalls the remains of Rudolph Valentino, the knowledgeable Frank suspects a cloning scheme. It all sounds crazy, but Nina finds the mystery a refuge from the chaos of her personal life. She’s on parole for manslaughter (Burning Garbo, 2003, etc.) and facing eviction for refusing to get rid of “The Rott,” her faithful Rottweiler. News that her mother has suddenly died almost sends her around the bend. At the funeral, Nina is reunited with the older sister she hasn’t seen since childhood. After drab, domestic Sharon comes to visit, Nina returns home one evening to find both her sister and $19,000 missing. The police, learning of Sharon’s death, haul Nina in on suspicion of killing the ex-con and long-time grifter. The mystery’s ingenious solution connects Sharon, Theresa, James Dean, Chad Stonewell (remember him?) and an insidious cult. Eversz gives Nina engaging depth, though the dense prose and grim story may turn off some readers.